Gary Compton Started with the American Legion Post 335 in 2005 in Hudson Florida, As a volunteer helping out on the week ends. Not to long after I became an Officer 2nd Vice Commander (S.A.L.) 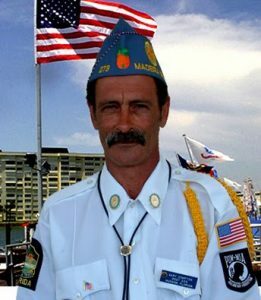 Moved from Hudson to St Pete and Transferred To Legion Post 252 In 2008 soon to become the S.A.L. Commander 2011 – 2015 Helping the Vets and enjoying every minute of it, to this day I still help with the cook outs Cooking In Pasco and Pinellas County Cooking for hundreds of Vets at Bay Pines V.A. & Pasco County Stand Down helping with Two Stand Downs a year and many other cook outs for Legions and V.F.W. ( Life Member V.F.W. Post 9272 Posts through out the two County’s! Apple Roof Cleaning Of Pasco & Pinellas is fully licensed and insured in the state of Florida to provide quality service for your roof cleaning needs. We strive to provide the best roof cleaning services! We serve all the communities in Pinellas County Florida, including Largo, Clearwater, St. Petersburg Fl, Safety Harbor, Palm Harbor and surrounding areas. We also provide service in Pasco County Florida, which includes the communities of Port Richey, New Port Richey, and Hudson. We do more than just roof cleaning! Our services are comprised of a low-pressure cleaning service that uses chemicals to remove mold & mildew from any roof surface, with no damage! We pride ourselves on ensuring all surrounding areas of your home and/or business facility are shielded from our chemicals. Before choosing a roof cleaning service company, make sure to check their credibility. Apple strive to provide the best roof cleaning services within our area! Check out our website for our before and after photos and contact us for a free quote. We want to be your roof cleaning company!! Specialize cleaning of all types of roofs: Asphalt, Tile, Slate, Wood Shake, T.P.O, and Stone Coated Steel roofing. At Apple Roof Cleaning, we use the low pressure chemical roof cleaning service system! !